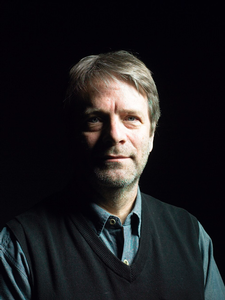 George Massenburg has participated (individually and collaboratively) in over four hundred records over the past 45 years. His work includes recordings of Earth, Wind & Fire, Linda Ronstadt, Little Feat, Lyle Lovett, Aaron Neville, Mary Chapin Carpenter, Natasha Bedingfield, Herbie Hancock, Arlo Guthrie, Billy Joel, the Dixie Chicks and many more. His studio work has gained him international recognition and four Grammys (including the Grammy for Technical Achievement in 1998, at the time making him one of only seventeen individuals to receive that honor) as well as numerous Mix Magazine TEC Awards. In 1988 he also won the Academy of Country Music Record of the Year Award. George has designed, built and managed several recording studios, and has contributed to the acoustical and architectural design of many other studios, including George Lucas’ Skywalker Sound. In 1982, he founded George Massenburg Labs, a pioneering audio electronics company that has released an extensive range of innovative recording technologies, all based on his original designs. George was awarded an honorary Doctorate of Music by Boston’s esteemed Berklee College of Music. Regularly published in professional journals and trade magazines worldwide, George Massenburg received the Gold Medal from the Audio Engineering Society in 2008. In 2013 he was awarded a patent # 8,510,361 in the US (as well as other countries) for a variable exponent averaging detector and dynamic range controller. He is also a member of the National Recording Preservation Board of the Library of Congress and an advisor to the Committee for Library Information Resources. George serves as the Chief Technical Officer of META (the Music Engineering Technical Alliance), a strategic union of music producers and engineers dedicated to the highest standards of audio and delivery of music. Currently he is an Associate Professor of Sound Recording at the Schulich School of Music at McGill University in Montreal, Quebec, Canada and a Visiting Lecturer at the Berklee College Of Music in Boston and Valencia Spain, and the University of Memphis in Memphis, TN. He and his wife, Cookie Rankin, live in Montreal, Quebec.